– Other elements of a yoga practice (pranayama, meditation and so on) are just as important for chair yoga practitioners. 1. Moving from the spine out into the periphery. First we deepen the breath – the breath begins to move the spine in subtle ways – we ride the current of the breath to articulate the spine – every movement comes from the center and ripples out into the periphery. 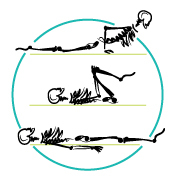 After all, the spine is a structural and energetic center of the body, so it is always an appropriate place to begin. 2. The “sitting aspect” of chair yoga. The common perception in the yoga world is that seated poses are easy; in reality this is not the case. Seated poses are easy if you move the arms only; once you begin to move your spine, they become much more challenging. In a seated position the pelvis is fixed, becoming the base of support for all the structures above it, including the spine. 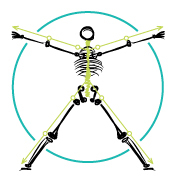 As you bend your spine forward and back, sideways and twist it against the base of your pelvis, the “connection points” that link your spine to your pelvis are challenged. This primarily means your sacroiliac joints. The stress on the joints becomes even more pronounced if you use arm leverage to deepen the pose. 3. Combining sitting poses with standing poses (holding on to the chair if necessary). From the structural standpoint, we need our students to be able to carry their own body weight in their daily life and take care of their daily tasks that involve leaning, reaching, bending over and so on from a standing position. Standing poses also help build overall strength and integration between different body parts. From the energetic standpoint, standing poses with large body movements have an uplifting effect on the system and help us feel more energized, capable and vibrant. So if the student is capable of standing and walking, she should do some standing poses, as well, using the chair for support if necessary. 4. Transitioning down to the ground and then back up. According to some research, the “sitting-rising test” is used to assess frailty and predict life expectancy for people over 50. Regardless of how you feel about the study, the ability to transition down to the ground and back up again is an important indicator of balance, coordination and muscular strength and flexibility (unless other factors are in play). So if it is possible, we want to encourage our students to practice moving down to the ground for some floor poses and Savasana (using chair for support if needed), and back up again for pranayama and meditation. We do have to consider individual situations, of course. 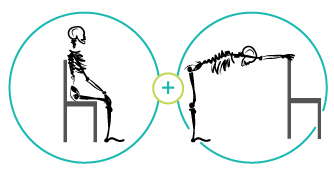 Next week we will feature a handy infographic with step-by-step suggestions on how to sequence a chair yoga class. Tune in! This is a great series, I have a private yoga client that I do chair yoga with due to his hip and knee issues but I feel I am running low on ideas, can you recommend a book? I Have chair yoga for you and someone has recommended the Iyengar one too. Perfect timing! I’m currently teaching a chair yoga class that is very therapeutic in nature for a medical doctor. I eagerly await all that you will share! Thank you, Olga! Happy to hear you find it useful Gail! I am a new subscriber to your blog and website and so grateful for this information. 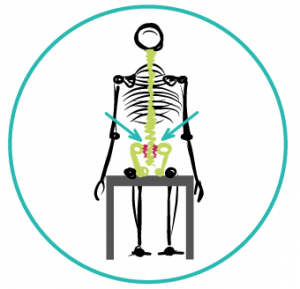 The current series on Chair Yoga has been enlightening and helpful. I have witnessed my senior and private students build their confidence using chair poses, and as we move out of the chair students feel stability on the mat. Thank you so much for sharing your insight and wisdom, and I look forward to future teachings. Very nice to see #ChairYogaFitness getting quiet a bit of press here lately! Thanks for your great article! Previous story Who is Chair yoga for?